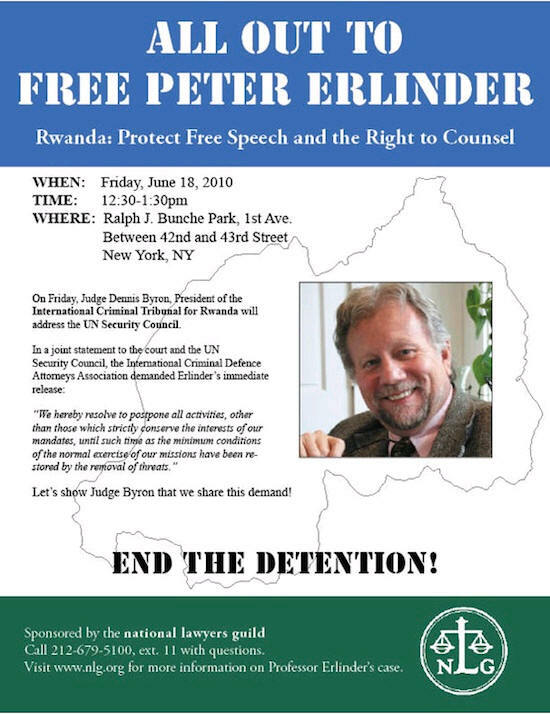 It's not clear whether this means he'll be able to return home yet, but William Mitchell law professor Peter Erlinder has been granted bail on medical grounds by a Rwandan court. He has been hospitalized numerous times after his arrest May 28 for denying that the deaths of 800,000 Tutsis and moderate Hutus were part of an orchestrated genocide by radical Hutus controlling the Rwandan military. At one point during his incarceration, he failed in attempt to commit suicide. Erlinder was arrested after entering the country to defend Victoire Ingabire, who is accused of denying the 1994 Rwandan genocide, collaborating with a terrorist organization and inciting ethnic hatred. Pressure on Rwanda to release Erlinder has come from all corners of the globe, and here in the U.S.
Rep. Betty McCollum introduced, and Keith Ellison co-sponsored a U.S. House resolution reminding Rwanda, none too subtly, that the African nation might want to play ball since it's the recipient of much largesse from Uncle Sam, which has, "Provided over $1,034,000,000 billion in United States taxpayer-funded foreign assistance to Rwanda since 2000, and an additional $240,200,000 is proposed in the President's fiscal year 2011 budget."